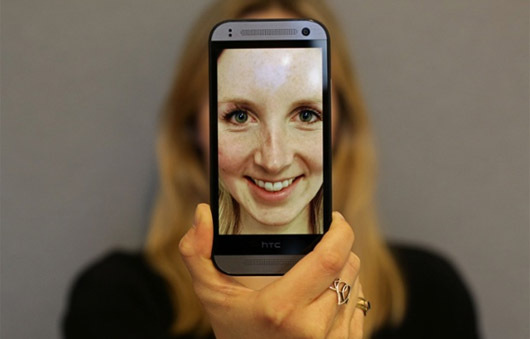 It’s been a busy few weeks in the office as the HTC team pulled it out of the bag once again for the launch of the HTC One mini 2. Ahead of last week’s announcement, we held pre-briefings with the great and good of the technology lifestyle press, as well as a photography and video session for those who wanted to get shots of the device in early for hands on reviews. Coverage has been stonking so far, with over 140 articles including the likes of BBC Breakfast, Wired, The Guardian, Daily Star, Daily Mirror, Independent, Huffington Post, Mashable, Daily Telegraph, Stuff and T3. However, our stand-out moment of the launch had to be the beautiful shots from PA photographer Yui Mok featuring our very own Lucy Kerr, which not only made Guardian’s Photo of the Day, but also a half-page in The Guardian and another quarter page of the METRO, as well as a ton of regional coverage. Full reviews will be appearing from Monday, so watch this space for proof that good things really do come in small packages.